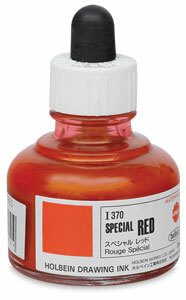 The world's foremost drawing ink is once again available in North America! 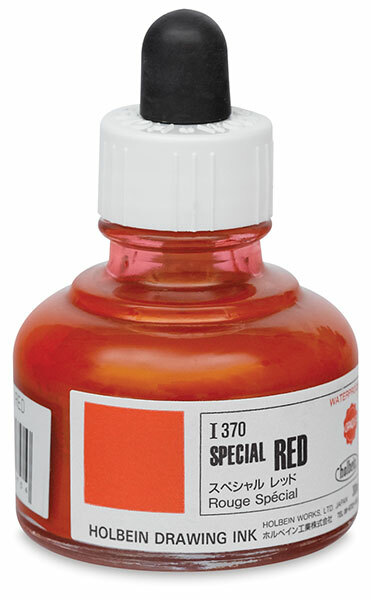 Holbein Special Drawing Inks are a line of highly pigmented, emulsion-based, opaque acrylic inks that are intended for use on printing plates and for general artwork. These water-resistant inks can be used with pens, brushes, and airbrushes, for illustration, comic design, lettering, and architectural perspective. 30 ml (1 oz) glass dropper bottles.